I had to stretch, I admit, for X in my Bankruptcy Alphabet. An OEX under California debtor/creditor law is an Order Of Examination that is issued when a creditor has a judgment. It’s a tool for the creditor to find and collect his money. The OEX allows the judgment creditor to eXamine the judgment debtor about his assets. Where it is OK to ignore a summons and complaint served on you, assuming you concede the truth of the debt, it is not OK to ignore an OEX. Remember, the first letter in the term, O, stands for order. It is an order, from a judge, for you to appear to be examined about your finances. Ignore it, and the sheriff may be on your door with a warrant for your arrest. The warrant has nothing really to do with the debt you owe, and everything to do with ignoring a court order. What’s relevant in a California bankruptcy is the power of the OEX to create a lien on the debtor’s assets that impacts all assets and has a life of a year. 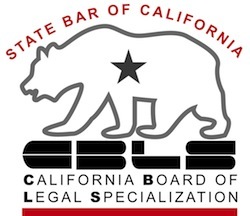 Many California bankruptcy lawyers forget this lien in scheduling the secured claims in the bankruptcy and in avoiding liens that impair exemptions. Often, it is the thought of having to appear in court to answer under oath about bank accounts and employment that brings an individual to a bankruptcy lawyer. Bankruptcy has its own, all-powerful order of examination created by rule 2004. The rule authorizes the bankruptcy judge to issue an order allowing any party in interest to examine any other party with respect to the issues in the bankruptcy case. Most commonly, it allows a creditor to require the debtor to appear and testify more extensively than may have been permitted at the first meeting of creditors. This post has been brought to you, as they say on Sesame Street, by the letter X. Very interesting, The stigma of filing bankruptcy has stopped many debtors who rightfully and probably necessarily need to file bankruptcy. The truth of the matter is that filing bankruptcy is a right granted to all Americans by Congress and as such, is a protected right. As a protected right, it is illegal to discriminate against debtors as employees pursuant to both Massachusetts law, MGL 151B, and Federal Law (Civil Rights Act and Bankruptcy Code). – Paul from Paul Buys Debt-Ridden Houses – Quick!! We purchase problem property and “handyman specials” without needing a bank, so if you may be negotiable on the terms, we can provide the price you need, right away. …If you no longer want it, we do! BTW, In case you’ve heard of a home-owner that has to off-load a hard-to-sell house, we pay a $500 referral fee for each home we buy.